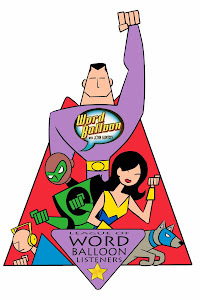 On this edition of the word balloon podcast, we present another conversation with DC writer, Gail Simone. She answers fan questions that were posted at the word balloon forums about her current books Wonder Woman, Secret Six, and Welcome To Tranquility, her former works like The All New Atom, Birds Of Prey, and Marvel works like Gus Beezer and Agent X/Deadpool. 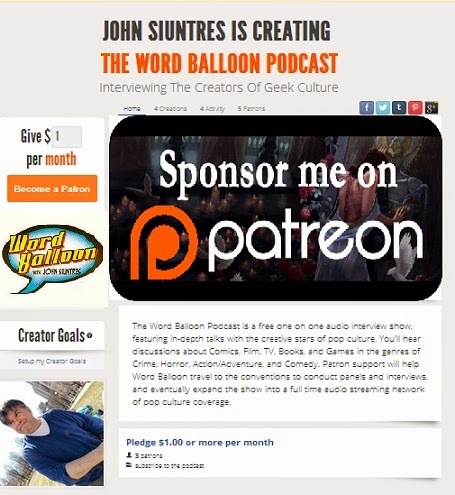 We also get writing tips from Gail, and hints at some future projects. Some highlights from the session include... Would Gail ever write a huge DC wide event? "I actually have a huge crossover pitch in that's been approved we pushed it back because I need to concentrate on wonder woman and the secret six launch. It's a story I feel needs to be addressed." Gail considered making the schizophrenic Rose/Thorn a member of the Secret Six. She wrote the first 2 drafts of the upcoming Wonder Woman animated DVD feature.. Despite being billed as a Grant Morrison inspired idea , Gail had more ground floor influence and say on the new Atom. "I love Grant Morrison, but the truth is that for the All New Atom we both had individual Atom pitches in, each revolving around the idea of a weird (Ivy) town. Grant created the Panda character, and the first story featured in the Brave New World One shot.... and it was agreed that Ryan Choi would be Asian, but I created his Hong Kong background, and (all the rest) ... I love weird science stories, 1950's B-movie Sci-Fi films, and HP Lovecraft stuff .That book was way up my alley, but people don't realize that, because it's so different from what I did on Birds Of Prey." In this episode of Word Balloon, we check in with the legendary artist/writer Howard Chaykin. We talk about his solo created 44 page one shot for December,Captain America, Theater Of War, America First 1956. A take on the Origin and career of the Commie Smasher 1950's Cap. “It’s me doing the 50’s, which I haven’t done in awhile. Nick Fury plays a large part in the book, as the voice of reason…and we deal a lot with 50’s iconography, and the conflict between godless Communism and godless capitalism (laughs). I’m doing a very right wing version of Cap, and it’s a challenge.” He gives us a behind the scenes view of Squadron Supreme , his current Marvel monthly, illustrated by Marco Turini. Howard tells us about the new characters he's added to the SS universe, and what's in store for all the super beings of this post apocalyptic world. 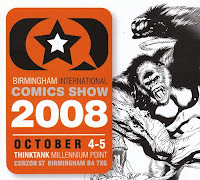 Chaykin also talked about his collaboration with Garth Ennis on The Phantom Eagle, his wrap up working on Punisher War Journal , the 2006-2007 Blade series with Marc Guggenhiem and we go back and forth, through the usual maze of 20Th century pop culture references . Will we see a new Chaykin adult style story in a MAX Book? “My next major project for Marvel , but I can’t tell you more than that right now. I’m champing at the bit to do it"
This time we talk to artist writer Tim seeley, who's creator owned series Hack Slash is nominated for Best Comic Book Series this Tuesday on Spike TV's Scream Awards . During this moment of mnaistream awareness and acceptance, the book is in the midst of a crossover with The Re-Animator Film Series. Seeley arranged the crossover with the film's producer and rights holder Brian Yunza. However, as discussed in this press release, the book has fallen into a property dispute with a seperate company called Re-Animator LLC, forcing issues #16 & 17 to seek alternative distribution away from Diamond. Tim discusses the basics of this puhlic domain dispute , and explains how fans and comic retailers can order the book's final 2 chapters. We also talk about Tim's new run on Marvel's New Exiles series debuting on #14 with writer Chris Claremont in November. On this edition of the Word Balloon podcast, writer Gail Simone takes us on a tour of Secret Six, the all villain team of misfits that got immediate fan acceptance from their debut in the Infinite Crisis tie-in series Villains United. We talk about the team's beginnings, a look at the core team members, and some hints at upcoming plot points for the series. Simone says Six fans can expect the team to face insurmountable odds and foes of both sides of the DC. " You'll see (The Six) take on half the DCU villains , JLAers, and in an upcoming arc they get on the bad side of Wonder Woman." Also in the plans, a flashback look at each team members life, before joining the Six. Who's Watching Dave Gibbons ? On this edition of the Word Balloon podcast , we talk about all things Watchmen, with the legendary co-creator, artist Dave Gibbons. We discuss the Watchmen Motion Comic, which has released its 2nd issue at Itunes and Amazon Video On Demand. Gibbons has another motion comic in the works, an adaptation of his Batman: Black and White story, The Black And White Bandit. Dave also tells us about his upcoming book, Watching The Watchmen to be released Oct 21st, and his take on the 2009 Zach Snyder film. 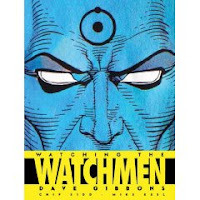 We also ask Dave about his recent conversations with his friend and collaborator writer Alan Moore, who has been very public concerning his negative feelings about the Watchmen film. Plus we discuss behind the scenes details about his 2006 Vertigo graphic novel, The Originals, the 1985 Superman Annual (#11) he and Moore created, For The Man Who Has Everything, and his upcoming John Constantine story in Hellblazer #250. Writer Jon Hickman joins us to discuss his innovative styles of design and narrative. We preview his upcoming Marvel project Secret Warriors, co written by Brian Michael Bendis . 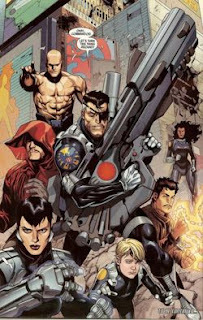 Col. Nick Fury and the new super powered recruits he's assembled for the Secret Invasion, will represent a a moodus operandi that has a different purpose than the standard way SHIELD stories were told in the past.Says Hickman, "(With Fury, your talking about the oldest living clandestant operative in the world. He's not a 'read and react guy'...Secret Warriors is not going to be about a random number of spy incidents, and calamitous adventures... The book is about setting goals and achieving them for a greater purpose . We will be interacting with major (Marvel U) events and be active participants... we just won't be caught 'on camera'." In addition, we discuss his Image books Red Mass For Mars, Trans Human and Pax Romana, plus his Top Cow Pilot season entry, The Core.